To save the iTunes DRM M4V TV Shows or video for watching without any limitation, you should be in need of Any Video Converter Ultimate which can remove iTunes DRM and convert M4V to MP4 for playback on any devices. 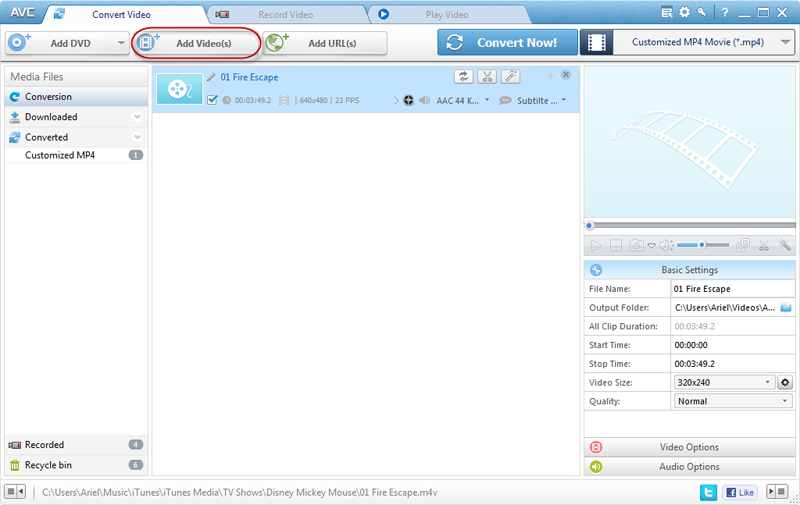 With the help of it, you are able to convert iTunes DRM protected M4V videos to AVI, 3GP, WMV, FLV for uploading to YouTube, Hulu, Metacafe, Vimeo, etc. 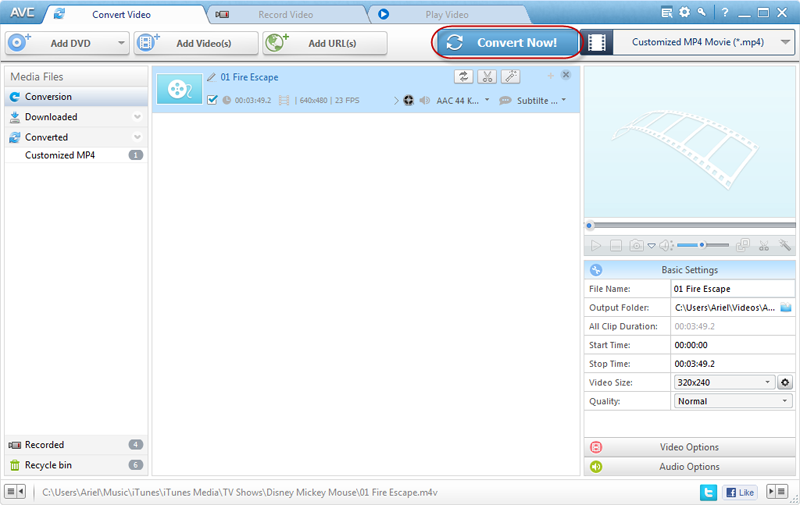 or for playback on iPhone, iPad, iPod, PSP, Blackberry, Android devices, etc. 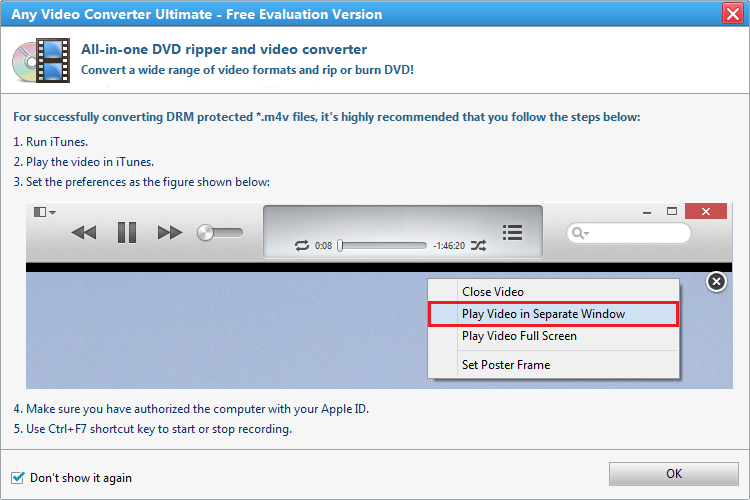 NoteBurner M4V Converter Plus is a professional and powerful iTunes M4V Converter, which can help you remove DRM from iTunes M4V rentals & purchases and convert them to DRM-free MP4. With an outstanding DRM decryption technology, it can convert iTunes DRM-locked M4V videos to plain MP4 at 20X faster speed with 100% lossless quality. 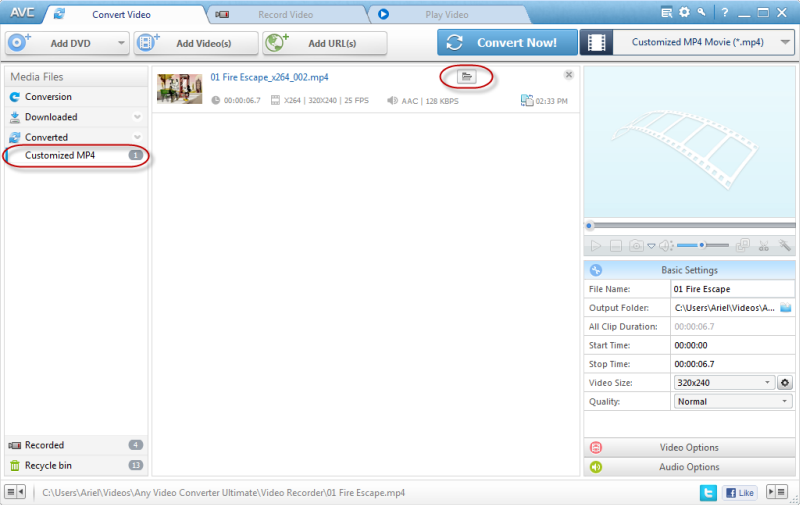 You can convert a 2-hour movie to DRM-free MP4 within 20 minutes at the same time keep its HD image quality. What is more, you can keep all subtitles (incluing Closed Caption) and audio tracks (including AC3 5.1 Audio) in the output MP4 videos, which makes it the most powerful iTunes M4V to MP4 Converter in the market.